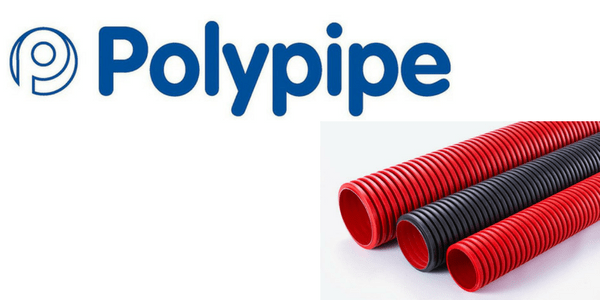 Polypipe manufacture a broad range of LV MV HV power cable duct for low, medium and high voltage protection of cables from 11kV up to 132kV – specified by UK DNO’s and the power industry. 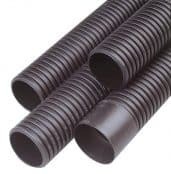 The Polypipe power cable duct ranges include Ridgiduct, Ridgicoil and Polyduct ducting which comply with ENATS 12-24 Class 1 – Class 3 cable protection specifications and BS EN 61386-24:2010 type 450N or 750N with normal duty impact resistance. 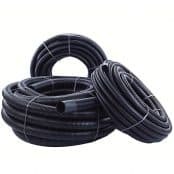 T&D also supply the full range of Polypipe cable duct including ducting for low voltage street lighting and motorway communications applications. When selecting a cable duct, the fill ratio (defined as the ratio of the cross-sectional area of the intended cable and the internal cross-sectional area of the duct) should be considered when determining the size of cable duct suitable for a cable protection application. The fill ratio should not normally exceed 65%. Polypipe power cable duct for 11kV-33kV power cable protection applications. See also MV HV Cables. T&D, The MV-HV Specialist Electrical Distributors, stock and supply an extensive range of medium/high voltage cable accessories (joints and terminations), cable laying equipment and cable duct to support the installation of 11kV and 33kV cables with a range of duct sealing products for protecting substations against flood damage or gas risks.